The Queen’s University Investment Counsel (QUIC) helps students learn more about financial markets and investing. Consisting of 32 undergraduate students in the Smith School of Business, QUIC manages a ~$1,400,000 portfolio of Canadian and U.S. equities on behalf of the Queen's Endowment Fund, striving to outperform the market with managed risk. 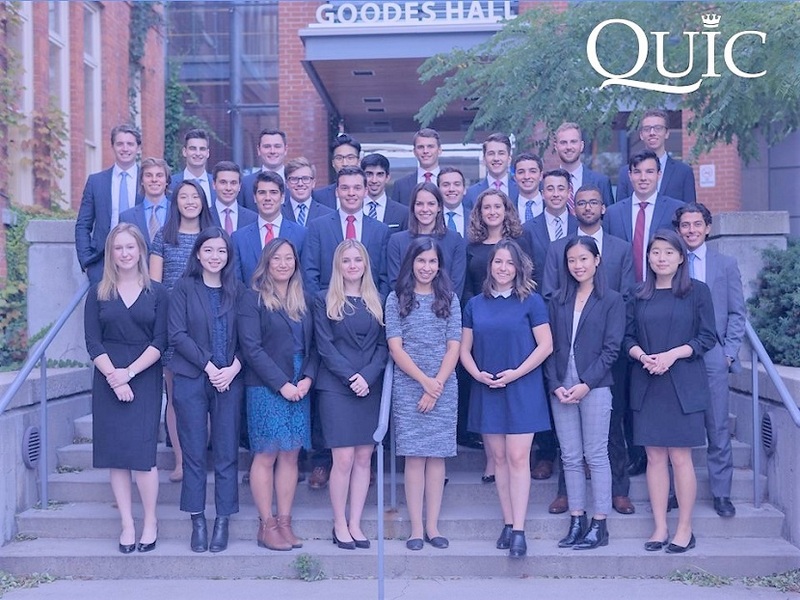 QUIC conducts a number of activities annually to further education in the field of finance at Queen’s, and the Counsel’s vibrant alumni network helps students develop and nurture career development opportunities in the global finance industry. For more information, please visit http://www.quiconline.com/.